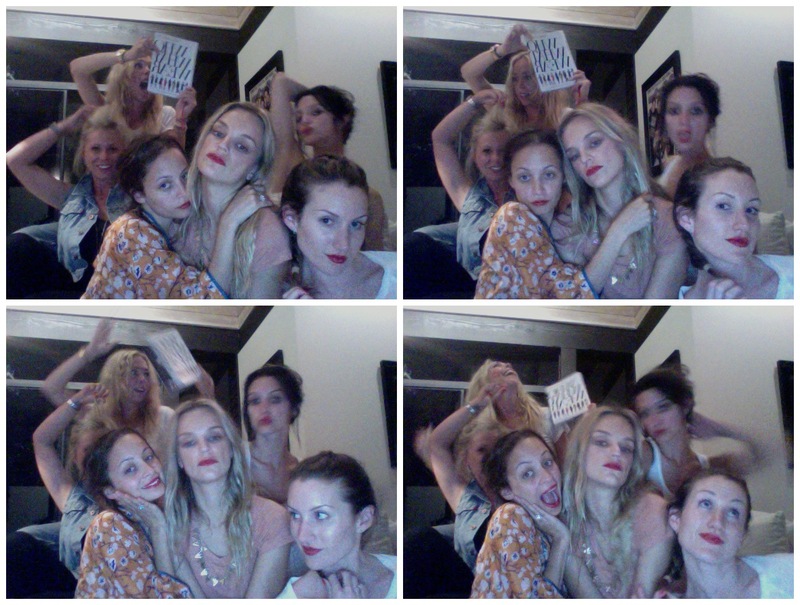 NICOLE RICHIE NEWS: Nicole Richie & Friends - Girlz Night! Nicole Richie & Friends - Girlz Night! Nicole Richie posted a Twitpic of herself on Twitter with friends Simone Harouche, Ashlee Simpson, Kelly Sawyer, Katherine power and Nina Lenders. "DO I MAKE YOU HORNY? @kellysawyer @katherinepower@ashsimpsonwentz @ninalenders @simoneharouche YEAH BABY!" Looks like a funny night! I want nicole's top. do you know what it is. please!!! Amazing & informative blog you got here. I just stumbled upon your blog while I was on TFS, wondering if you could send me an invite to the site. That would be greatly appreciated. they all look really odd here. they must be drunk.